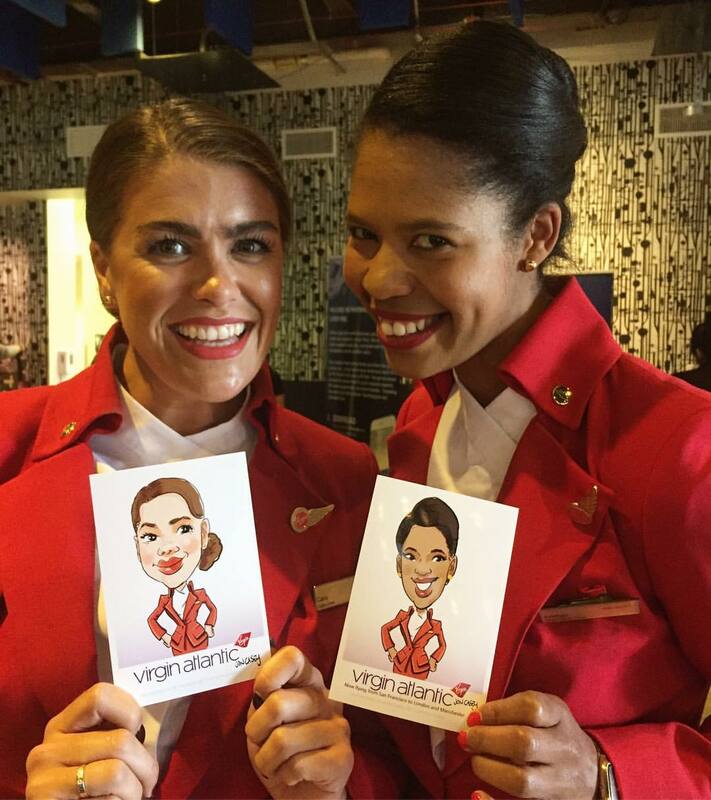 Give your guests and attendees an experience they’ll remember & share. disguised as super-fun, personalized entertainment. Smart, right? 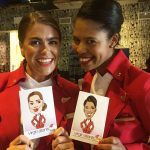 Every caricature we draw for your guests gets printed on-the-spot and includes your company name, logo, event, and website. 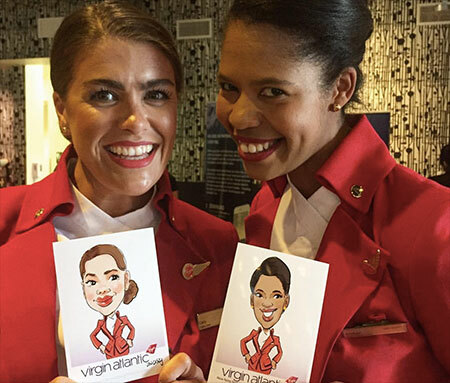 As people share their caricature, they also share where it came from! 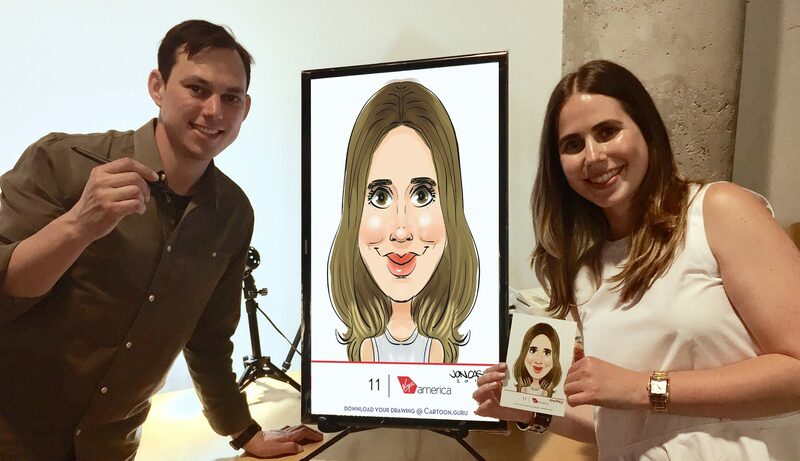 Live digital caricature has steadily grown in popularity as a tool for audience engagement. Why? Because it’s fun and people liketo share their fun with friends and colleagues on social media. Humans are naturally drawn to crowds. We draw crowds. You get more traffic. Easy peasy. Corporate Event, Private Party, Wedding? & reserve your date Today. The calendar fills up fast! Highest rated artist in the field. 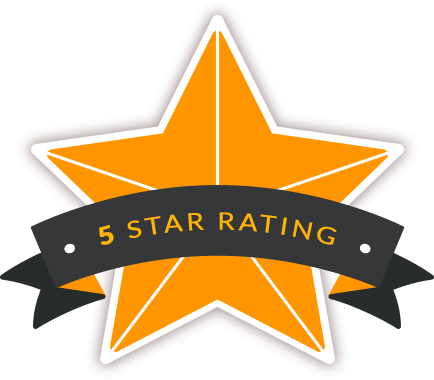 “I was able to book Jon within 3 days of an opening party event. The booking process was quick and seamless. He kept our group of small business owners, former tech, bloggers, vloggers, and instagram famous entertained all evening with the TV displaying his live work in progress. “Jon is an ah-mazinggg artist!! Hands down one of the best works I’ve seen, and have had the pleasure of working with for a year now. 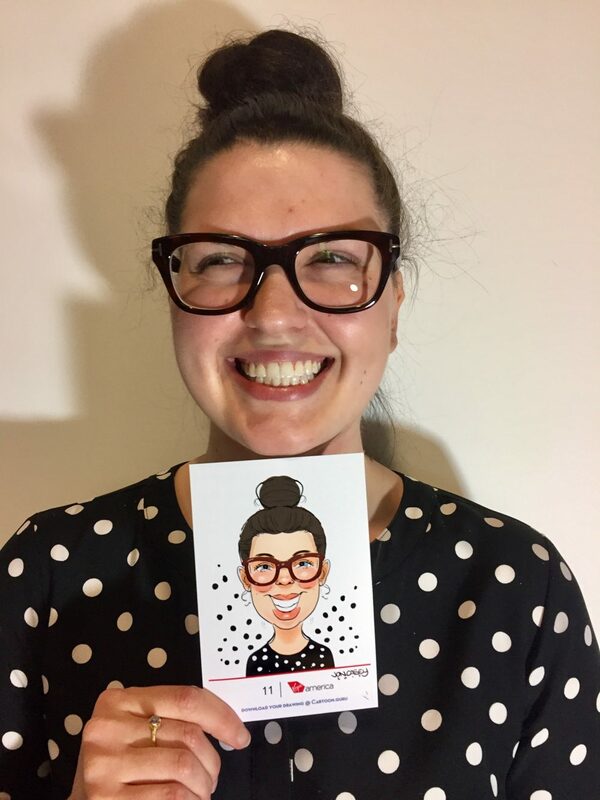 I was tasked by my company to brainstorm sentimental gifts for our employees, and so I thought caricatures with our company logo would be a great idea–and it was! I’ve researched numerous artists on the web, and fell upon Jon’s work and loved his style. 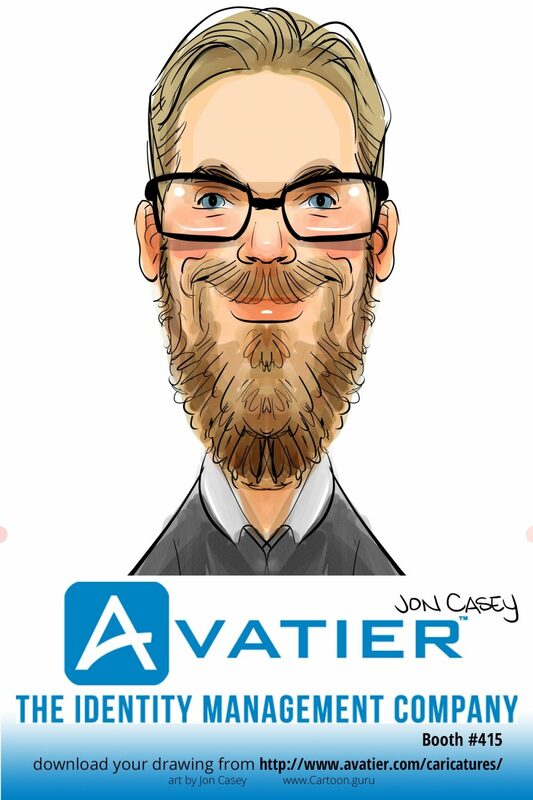 Jon has drawn many of our employees, and each time they received their caricature, they were floored, thankful and joyful to receive such a memorable gift. It’s clear that this is Jon’s passion and he’s talented at what he does. 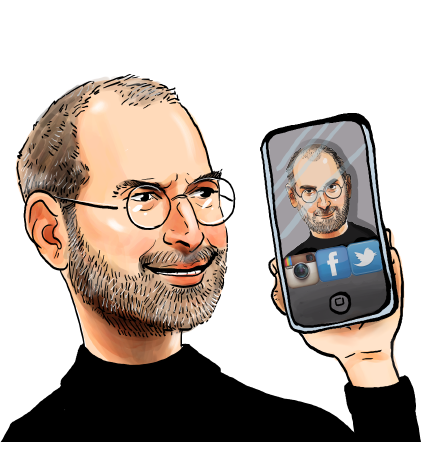 “I first discovered Jon at a corporate event for a company I used to work for. He drew me and my coworkers and we all kept our drawings on our desks. 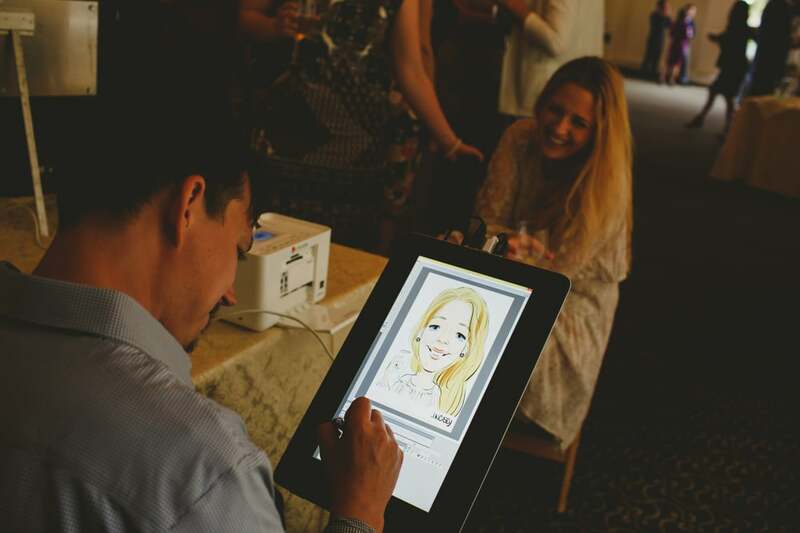 When my wedding rolled around, I didn’t think twice about booking Jon to entertain and draw for my guests. People LOVED him! He arrived on time and set up quickly. We had him outside due to space constraints inside our venue but he was a great sport about it nevertheless. He stayed over his allotted time to ensure everyone got their drawings and even told me he would draw my husband and I after the fact so that we could spend more time with our guests. 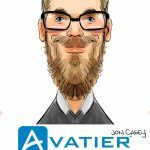 “I met Jon and hired him 5 years for a Cisco Tradeshow and he was the hit of the entire convention. The line waiting to be drawn wrapped around my booth from beginning to end of the show each day and was a huge draw to drive attendance to the Cisco Booth. Tell us about your event to receive your free quote. Questions? See our FAQ below. Tell us a little about your event. 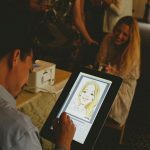 Although we specialize in trade shows and corporate events, Cartoon.guru artists are available for weddings, birthday parties, picnics and more! You can see lots of examples of our artwork from recent jobs and the diversity of events at our Event Downloads. Do you work with companies for more than a single event? Yes! 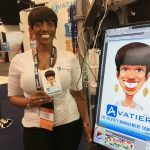 We have teamed up with companies like Avatier and Symantec to be at multiple shows throughout the year, and have been a part of large trade show events like HDI and Oracle OpenWorld for many years recurring. We find that the guests will often look for us to update their drawing each year. Some companies, such as Google, book us each year for their end of the year Holiday party, often a year in advance! We love to build relationships with companies. How many artists will be at my event? 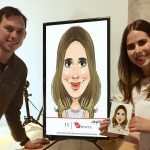 You can book from one to seven digital caricature artists for your event. We can even fly in artists to join our team if you need additional artists! 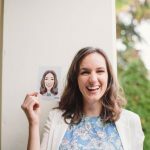 At most events we recommend two artists, but your budget and goals are the most important considerations when working with us. Booking a single artist only for an event will add to the entertainment and fun of the party. 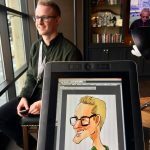 Will Jon Casey be the artist that draws for my event? 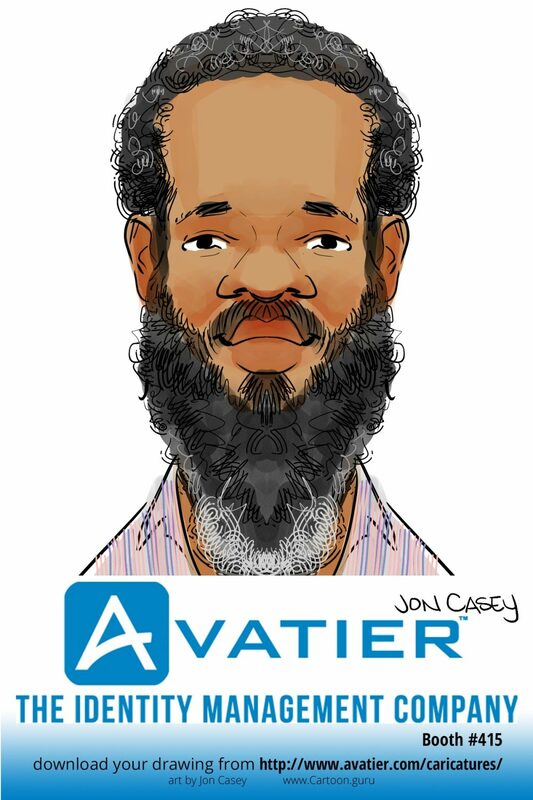 Jon Casey is the owner and operator of Cartoon.guru. All emails and bookings will go through him, and most of the time he will be at your event! We work with a team of great artists that all reach high standards for quality of artwork and professionalism. When Jon Casey is already otherwise booked or unavailable, he will work with you to place an artist for your event. 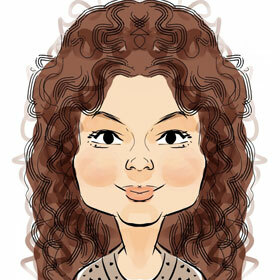 You can be assured that any artist booked through Cartoon.guru will be an excellent addition to your event. How far in advance do you typically book an event? Typically events book up 4-12 weeks in advance. Some events book yearly in January for the following end of year celebrations. Sometimes we can find an artist for your event with just a couple of days notice. 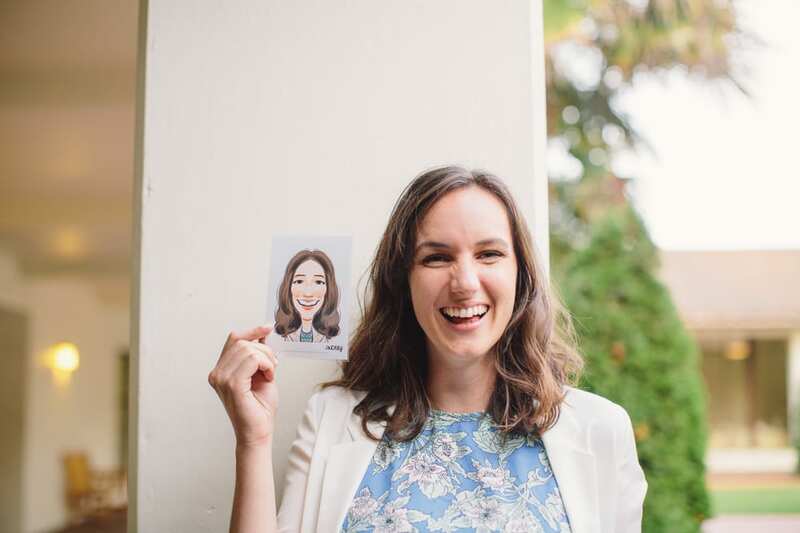 When we book your event we take a 50% deposit to hold your date, so the sooner you are ready to book the more likely we will have an artist available for you. The holidays are typically our busiest time of the year, and we often book up the weekend dates in December many months in advance. Whenever you are ready to book we will work with you to find an artist who is available. Yes, we carry insurance. We can provide proof of insurance and “additionally insured” paperwork for any event necessary. Yes! We often work events in cities like New York, San Francisco, Washington DC, Chicago, and more! We can travel to any location you would like to have an artist. 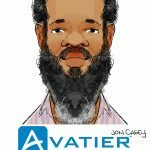 We also work with a team of colleagues connected to Cartoon.guru throughout the USA to help keep travel and lodging costs down for you by booking someone local to your event. What do you bring with you and what do I need to provide? The table needs are flexible. We can work with tall boy cocktail tables, card tables, or 6 ft tables are all just fine! Please provide chairs with a back support. Any office or dining type of chair will work. Please provide an electrical outlet at the table location. Artists cannot see in the dark or extremely bright light such as in the sun. For evening events, please consider the artist will need to see both the illuminated drawing screen and your guests face. In normal room lighting such as an office or trade show environment the artists can work most quickly and efficiently. The artists can bring spotlights, but this should supplement the available lighting and not provide all necessary light for seeing your guests. If your event is outdoors please contact us to discuss setup needs for outdoor events. Can you work in a small space? Yes! 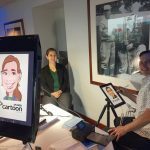 Due to the needs of setting up in small trade show spaces, our artists have condensed our footprint to provide our drawing services in the smallest of spaces. We work off of tripods, with the only surface space needed for a small printer and a TV screen oriented in portrait orientation. No matter how limited your space is, we can work with you to set up and deliver! Can you draw on paper in the traditional fashion as well? Yes! 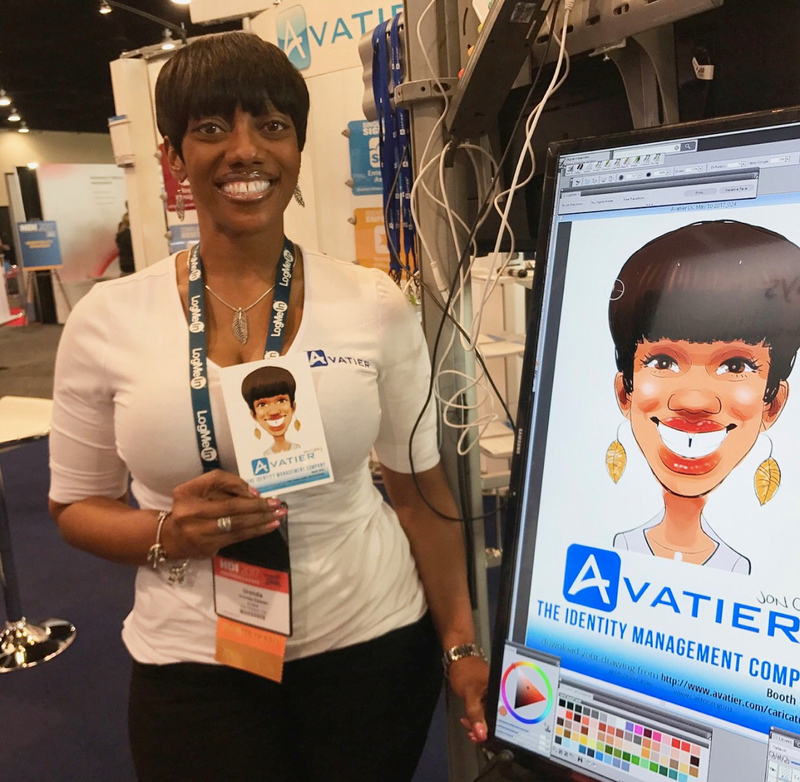 Although we specialize in providing full color digital artwork, we can also draw on paper with markers for your event. 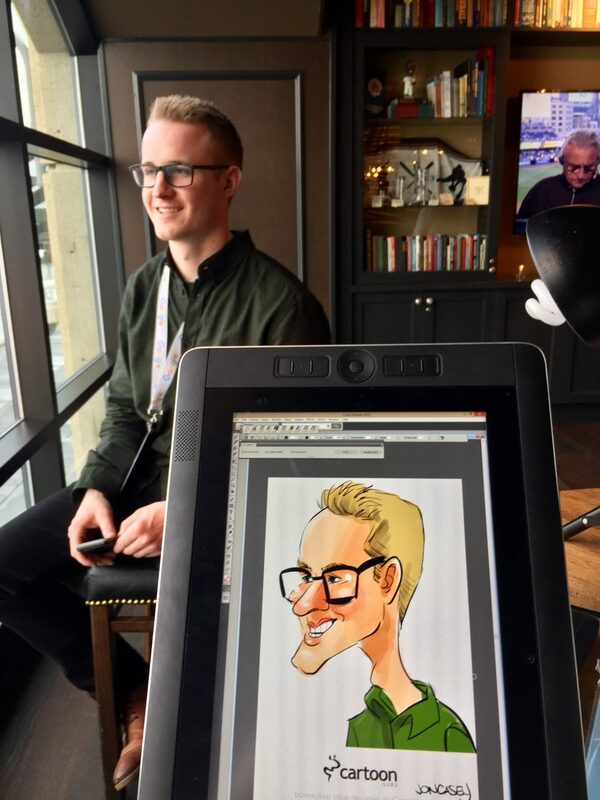 Although we have been one of the leading teams of digital art since 2008, many of our artists have been drawing caricatures on paper for 20 or more years! 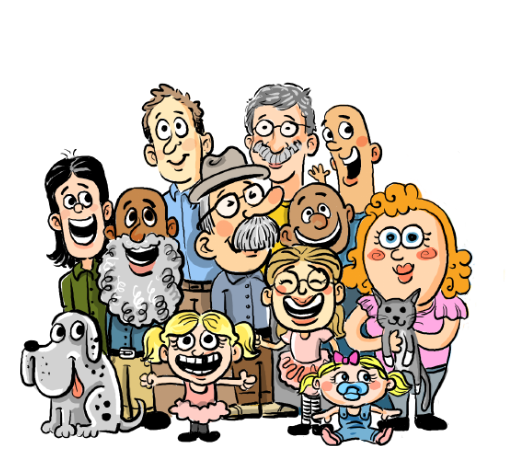 Although the traditional service is not in color and no digital downloads of the drawings are available, it is a more affordable service and one that we enjoy. Especially for outdoor events such as picnics, traditional is the way to go! How many people can you draw per hour? 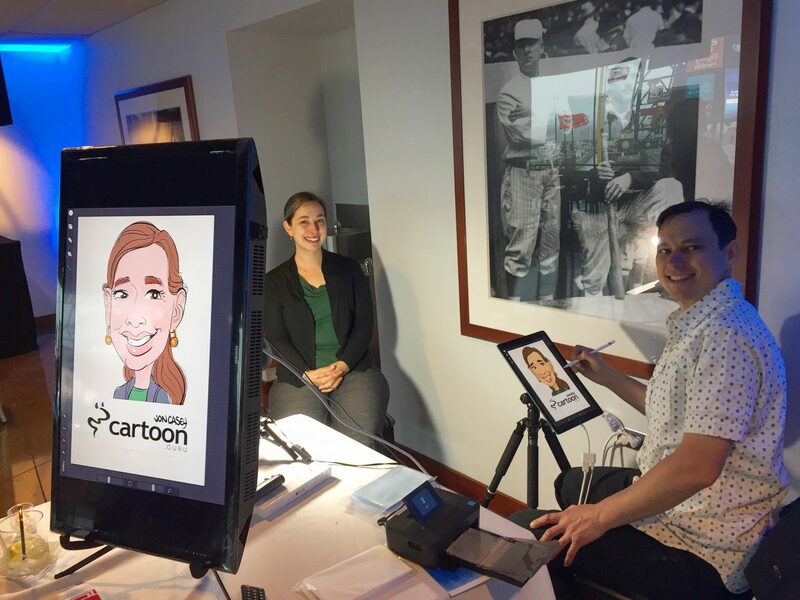 Each artist can draw up to 10 full color faces per hour. How many hours do people typically book an artist for an event? There is a two hour minimum for all events, and we often stay for the full duration of a party, wedding, or trade show. Although two hours might be a good amount of time for your smaller event, for weddings we recommend 3-5 hours. We also offer day rates depending on the number of hours booked. Send us the details of your event (link this) to get a free quote, and Jon Casey will work with you to decide how many artists and hours would work best for your particular event. Can you work with a theme or idea for our party to include it in the drawings? Yes! We create a unique border for each event. If you’d like, we can also pre draw bodies or backgrounds to match our artwork to your theme. 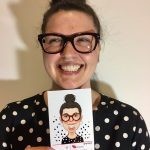 Do you offer artwork for gifts or commissions from photos? Yes! 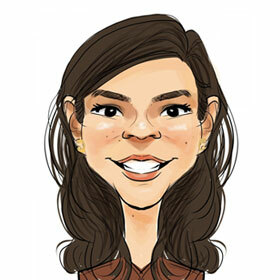 We can draw commissioned artwork for you from photos over email. 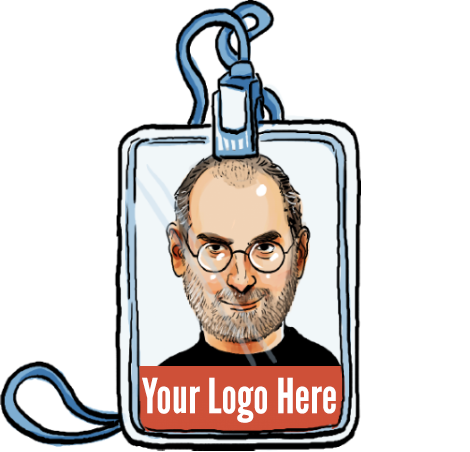 We often draw dozens or more people for corporate awards or gifts. We can create unique artwork to celebrate a retirement, for wedding invitations, and more! Check out some examples of commissions we have done here.